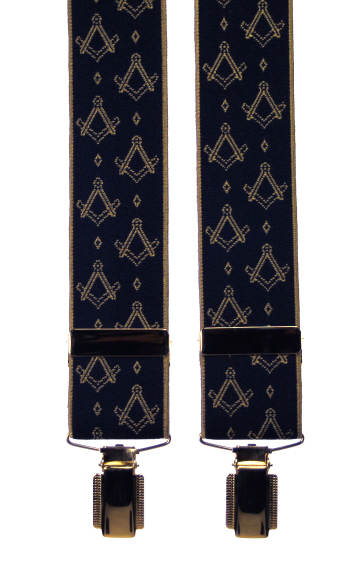 Masonic trouser braces with a gold stitched masonic square and compass motifs design on a navy background. Sturdy gold coloured clip ends, two front and two back. Masonic cufflinks with black or blue enamel. Plain black tie with single white compass motif. A pair of white gloves available in medium and large sizes. Men's Masonic black and silver braces available in two sizes.